It has a blade that seems fairly wet. 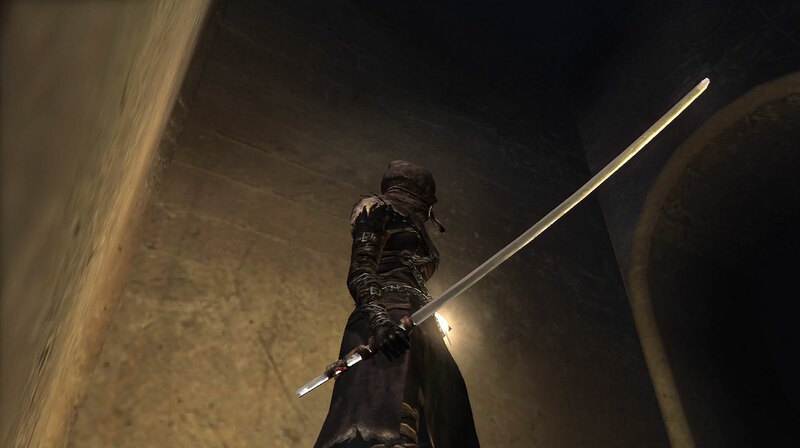 It was forged by a famous swordsmith in a distant country, but since the wielder must grip the blade, it's extremely difficult to handle, causing damage to the wielder. Kill the Black Phantom Satsuki who appears in 4-1 when you have Pure Black World Tendency. 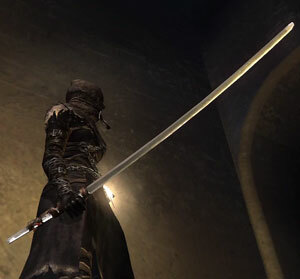 The Hiltless is one of two unique katanas in the game. Every hit that connects to your opponent (whether it be their body, shield, or a weapon being two handed) will drain 3% of your HP. If you swing and hit another surface (i.e. walls, breakable objects, etc. ), it will not drain 3% of your HP. Also, Backstabs and Ripostes are exempt from harming you for 3% damage.